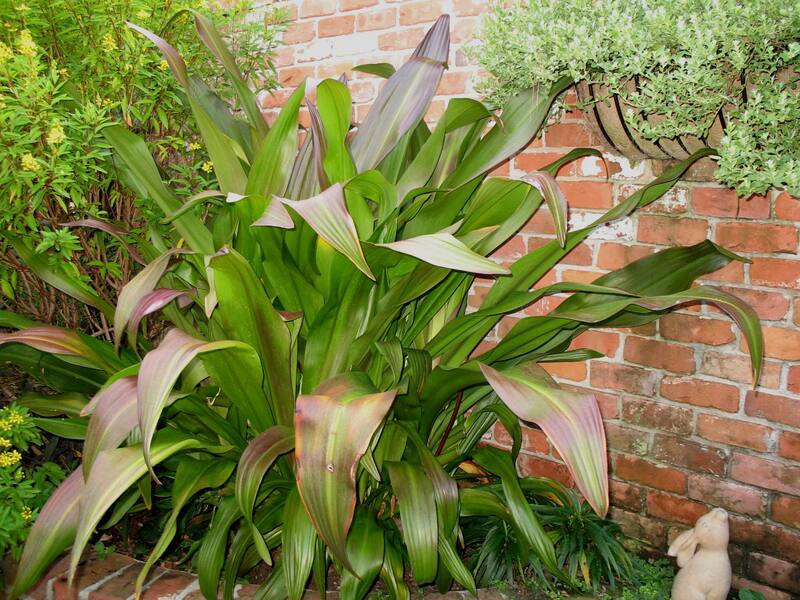 Comments: This is likely a variety of Crinum asiaticum and not a separate species. However, it is a truly splendid crinum that produces strong, thick leaves and makes a strong presence in the garden where ever it is used. It produces stalks of twenty five or more burgundy-pink buds opening into white flowers. Even without flowers this perennial makes a strong accent in the garden because of the red-tinted foliage. Crinum splendens is the red leaf form of this crinum.